*Special Skin Cancer Awareness Month screenings. Due to the increased risk of skin cancer among solid organ transplant recipients, Mid-Atlantic Skin provides on-going complimentary professional skin cancer screenings. It is estimated that solid organ transplant recipients are up to 65 times more likely to develop skin cancer than people without transplants. The screenings for transplant recipients are available daily by appointment doing normal business hours. To schedule a free appointment, please call 301-475-8091 (Leonardtown Office), 240-237-8268 (California Office) or 301-396-3401 (Waldorf Office). Skin cancer is the most common of all cancers. It accounts for nearly half of all cancers in the United States. More than 1 million cases of skin cancer are found in this country each year, accounting for more than 10,000 annual deaths. 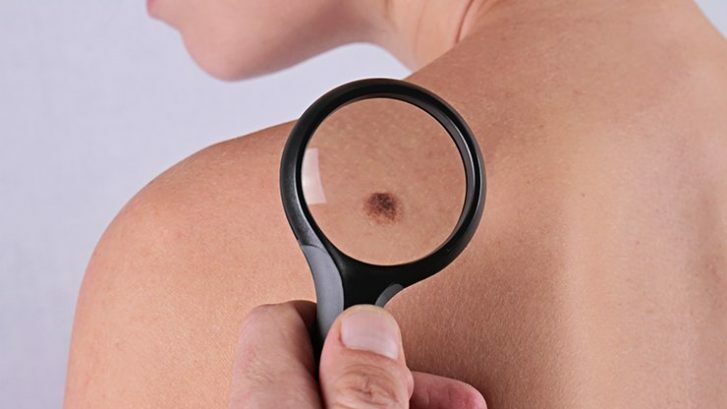 Skin cancer is highly curable in most cases when detected and treated early. Monthly self exams and an annual professional exam are recommended. Mid-Atlantic Skin’s skin screening exams include the use of a non-invasive and painless state-of-the-art dermatoscope to help with examining the skin. While studies have proven that the additional use of a dermatoscope aides in the diagnosis of skin cancers, less than half of dermatology offices use this important tool.